RFP- Request For Proposal, an opportunity and fear at the same time for the business people. When a company issues RFP, it seeks for the best fit. However, many suitable firms lose the opportunity for the prospective business with the imperfect proposal. The proposal needs to be robust enough in writing to attract the eyes of the organization. RFP formation is not easy; it should stand apart from the crowd for a successful business proposal. If you often experience fear in composing RFP, below are the crucial tips to pull you out from that situation. An RFP presents some specific desires to fulfill their project. While they demand the best fit prospective vendor, they also seek to have quality work done. So, if you are the eligible one passing through the RFP’s criteria, its time for the action. Instead of fear, you should be ready to show the skills that can benefit the organization with RFP. As RFP is open to everyone, they expect numerous proposals from the niche they demand. It suggests that for a quality proposal you need to know and explore your competitors from the market that also can present proposal. You should acquire their approach and make plans accordingly. Thus, provide an earnest explanation for their explicit requirements. Disclosure of your financial standing should be perfect in the proposal. You are not required to show your cash on hand balance, instead mention the time of your business inclusion, in case you have to gain a sales growth. Remember, an RFP will want to bond with a reliable client. This is a very important aspect that you preserve your rates while stepping into a business deal. Inspect and understand the return on investment on your budget. If it seems worth for your business, go for it else politely take your step back regarding lower price scenarios. Paying attention to the small details can give you exact information for the business. Go through the requirements mentioned in the RFP and deliver proposal with providing that you can perform them well. RFPs look for the proposal that meets their requirements. If you can, let them know. Note that the structure an RFP follows or maintain is critical to their business goals. The organization making a request will surely forefront the essential and vital factors. Thus, it is required that you follow their structure in your response. For example, if the request contains budget upfront, your business proposal must entail this factor. Each RFP consists a due date that demands your proposal response. Due date is an important measure in any business and hence, you cannot avoid this. Make sure you respond within the timeframe, which will also witness for project completion timings. 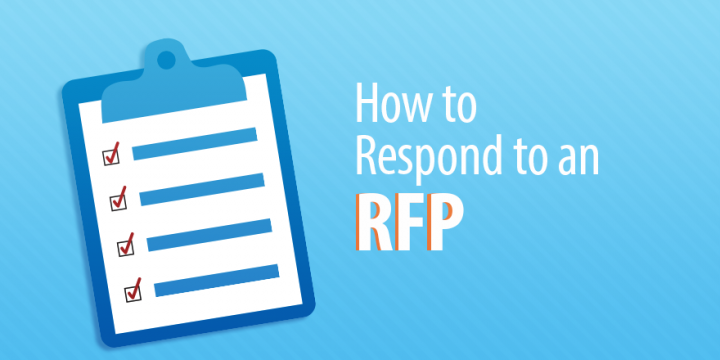 The RFP can provide you the selection criteria they will follow for the response filter. It is helpful for you to compose and evaluate your proposal towards scoring a good impression. The format here signifies the medium for the proposal delivery to the organization. Since electronics RFPs have become the need and choice of this digital age, you mostly receive RFPs via electronically. Briefly, pay attention to the format of prospective RFP and send a proposal by following it. RFPs contain the general address of business to establish a connection with the proposal. To increase the chances of your proposal acceptance, a little research would be beneficial. Find the decision maker of the prospective firm and directly send your proposal to him with proper addressing. Moreover, point-of-contact from your end and one person their side can establish good communication leading to the successful business proposal. The proposal from you represents your company, its capabilities, and resources. Your team is going to make a big contribution in fulfilling the business proposals. Therefore, you must involve your team members right from the beginning of the proposal composition to furnish a quality response. In the competitive exercise of proposal responding, you can face situations against your terms like less pricing plan. In that situation, you can emphasize the values of your proposal regarding the selection. You need to uncover your unique offer with better alternatives over your competitors. In this way going for a win-win situation is beneficial.